Over 40 construction professionals attended our first exemplar event of the year to hear exactly how the team achieved its goals. Last Tuesday over 40 construction professionals attended our first exemplar event of the year to hear exactly how the team achieved its goals. 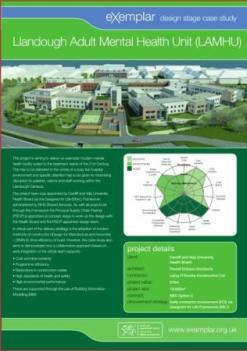 This scheme is the £88m new Adult Mental Health Unit within the University Hospital Llandough. 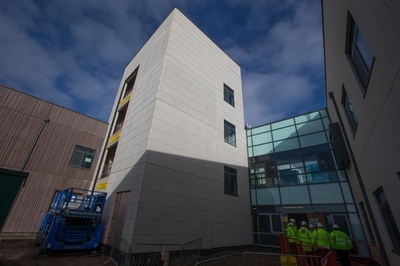 The new mental health unit will provide services for Cardiff, bringing together existing adult and specialist services provided at Whitchurch Hospital and the Llanfair Unit under one roof. 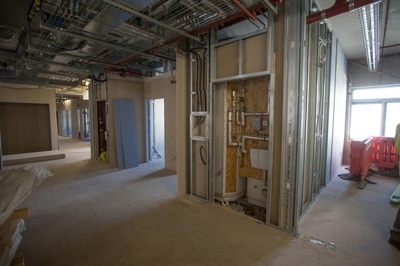 The modern, purpose built 135-bed inpatient facility, situated opposite the hospital’s existing main entrance, will include a concourse similar to that at the University Hospital of Wales. 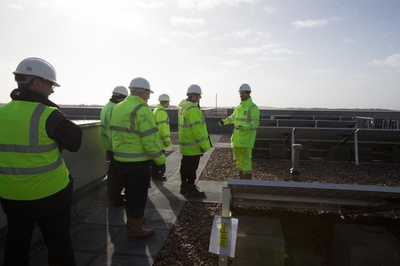 Its location is at the heart of the campus creating huge issues for the project team who needed to create a world class facility without affecting the operation of a live 21st century healthcare environment.